Throughout 2018 we’re supporting Guide Dogs for the Blind. In addition to sponsoring a Guide Dog through training we will at various times of the year challenge ourselves in the name of the charity. 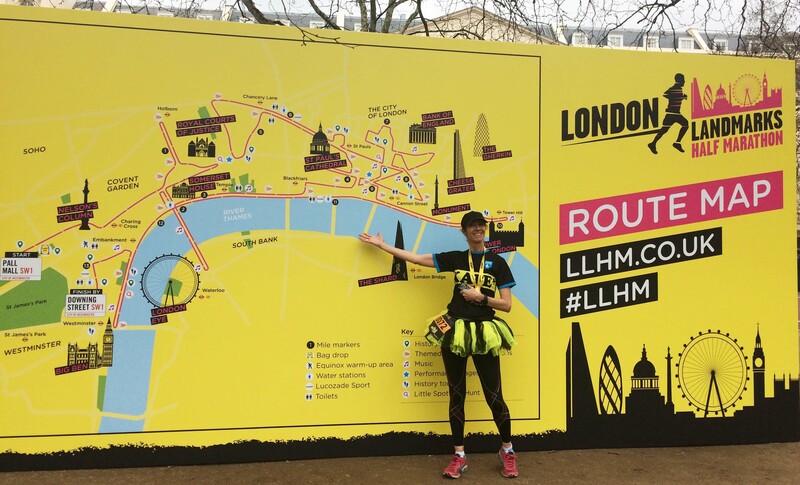 Kate ran the inaugural London Landmarks half marathon in March for Guide Dogs. Although she runs regularly she’s ALWAYS injured and despite good intentions she’d never managed to turn up to run a half marathon before so just getting there was her first challenge. Her second was to beat the 2 hour mark. She succeeded in both whilst also raising funds for the cause. Read more in her blog. Alan has volunteered as a driver. He’s slowly ticking the boxes that will get him behind the wheel with a client and their dog. DBS passed, he’s attended courses on how to interact with visually impaired clients and been re-educated on dealing with “issues” that may arise. Now he’s eagerly awaiting that first call to action when these newly acquired skills are to be put to the test. Kate has also completed a number of parkruns and Leicester 10k as a VI guide runner. To date she’s helped four different VI runners round a range of courses and is really enjoying it.